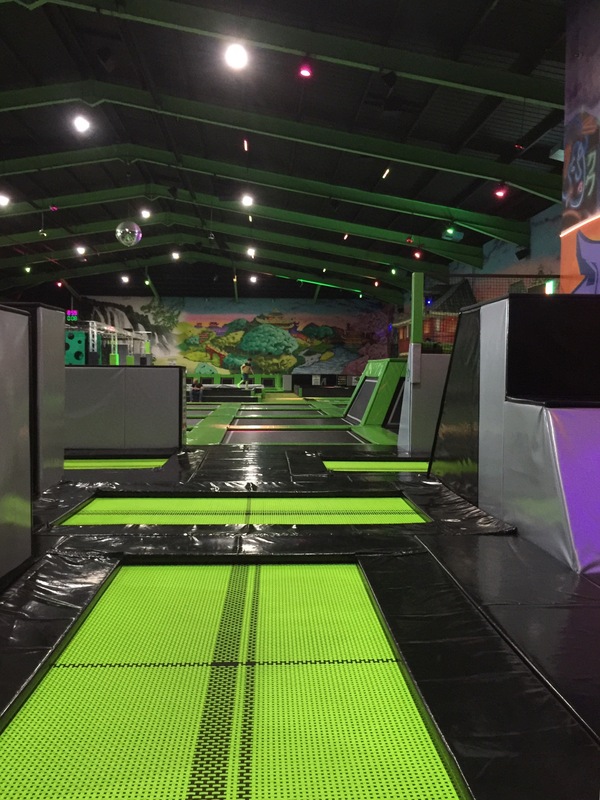 Flip Out trampoline parks boast some of the largest trampolines in the U.K and is flipping awesome. As soon as you enter the huge arena, there’s an overwhelming number of neon trampolines. There’s an unmistakable sound of excitable children and adults jumping up and down. Starting at the beginning is best to get warmed up, because as as you delve in deeper, and discover the advanced areas, with high towers to jump on and off; this area is for adults only! Until you actually climb the towers, you don’t fully appreciate how scary it is jumping from such heights. 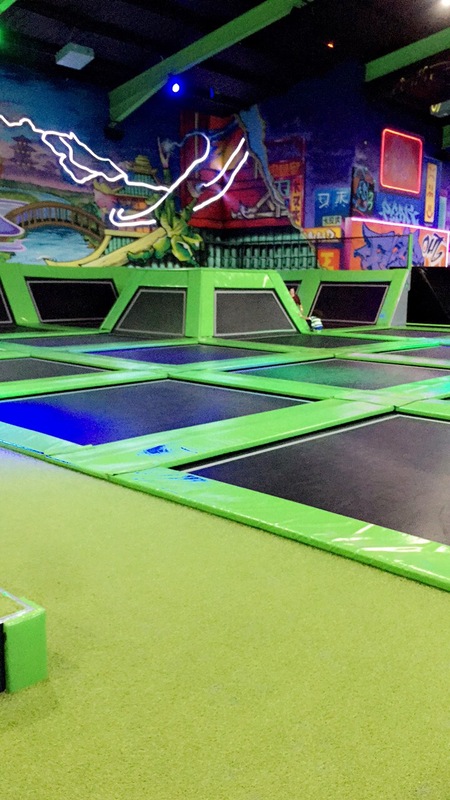 Flip out invites you to conquer your fears and explore your daring side. Heading out of the adult only area, there are a pair of trampolines that see you diving into a giant pool filled with spongey cubes. This was an absolute blast. It doesn’t get better than this. Climbing out of the pool was a bit of a struggle but it’s definitely worth it and we couldn’t resist jumping right back right in again. Or rather falling back in at the gladiator arena after a duel. 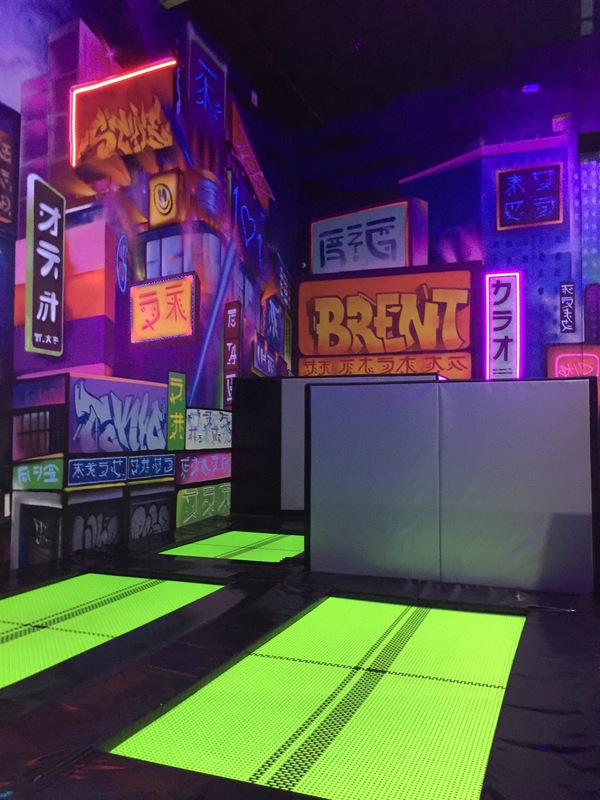 Once you are well acquainted and warmed up, there is a competitive, timed ninja warrior course, to test your ninja skills. There are two courses next to each other so you can race a friend. It was a pretty challenging course, requiring lots of upper body strength but was definitely worth a go. Flip Out is a really fun, yet surprisingly tiring experience. It’s great to go in a group, and starting off small and working your way up to the adult area for some of the bigger jumps. As it’s indoor it’s perfect come rain or shine, and a unique place to have a birthday celebration whether your 4 or 99 years old. It’s a great place for a memorable hen or stag do too.